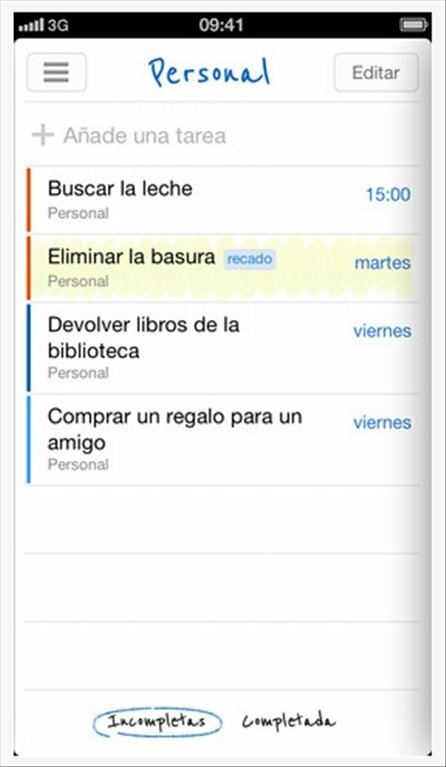 Remember The Milk is a GTD task manager that will help you to organise yourself better. 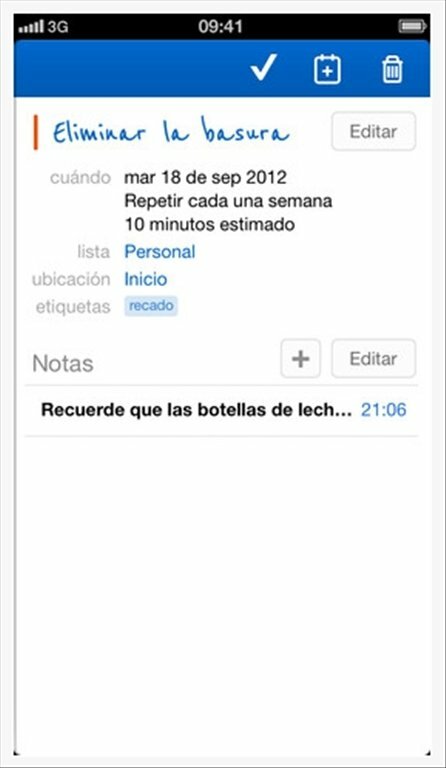 Make the most of your time and don't forget about anything you have to do by downloading Remember The Milk free for iPhone. Furthermore, thanks to the web service with this same name you can have at hand all the information of your personal organiser anywhere you want. 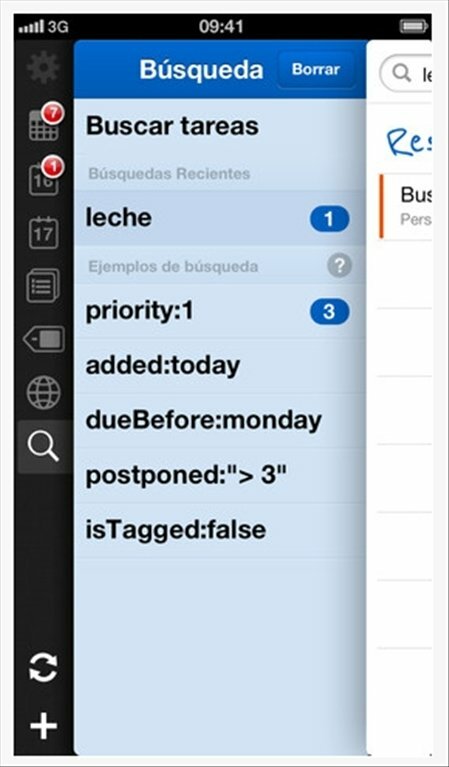 This app can work jointly with Gmail, Outlook, iCal, Google Calendar, Twitter and many other tools. 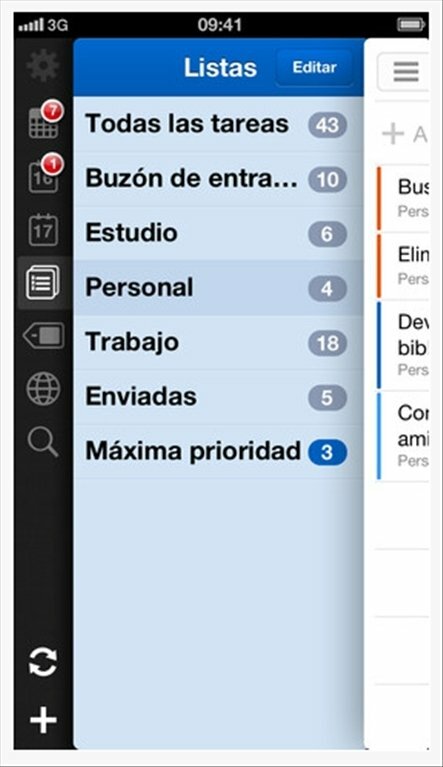 A real multipurpose tool to manage your outstanding tasks. Synchronize with the cloud service so as to make backups of your notes. Organise the entries based on many different criteria. Carry out searches and save them on a favourites list. Receive reminders by email, SMS or instant messaging. Regardless of whatever you have to do or remember, Remember The Milk will help you not to forget.